Hello fellow Crave readers! 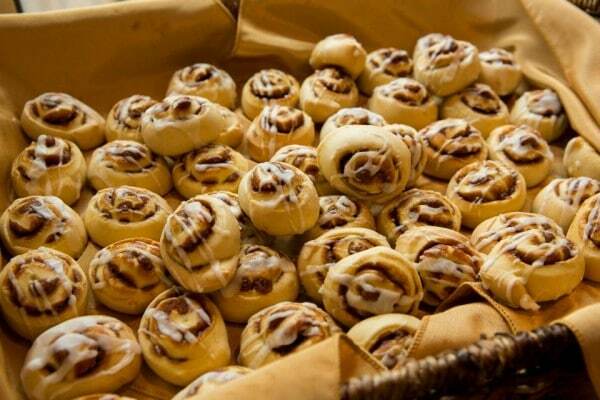 Another Monday has come, which means another opportunity to share one of our favorite munchies. 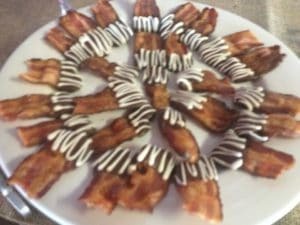 Check out our bourbon cured bacon dipped in dark chocolate. The salty and sweet combination is what has given this bacon trend such a huge push. We love it! Have a great Munchie Monday. Picking a wine that complements your meal doesn’t have to be a tedious production. There are no defined “rules” for wine pairing, but some helpful tips are a sure-fire way to create a combination that will go well together. It is always better to pick a wine that is sweeter than the food you will be pairing it with. This will avoid any bitterness of the tannins to clash with the meal. A port wine is an excellent example of this, its very sweet taste complements desserts handsomely. It doesn’t matter how many tips and rules are out there, if you don’t like a certain type of wine, pairing it with your food isn’t going to make any part of it more enjoyable. Take these tips with a grain of salt and go for a wine you would drink by itself first. Try to pair acidic food with acidic wines. The acidity in food is most commonly found in the sauces they are prepared in. For example, a dish with a vinaigrette or citrus sauce would go well with a more tart wine, so go for a Sauvignon Blanc rather than a more rich tasting Chardonnay. Wine and Beer experts E.C. 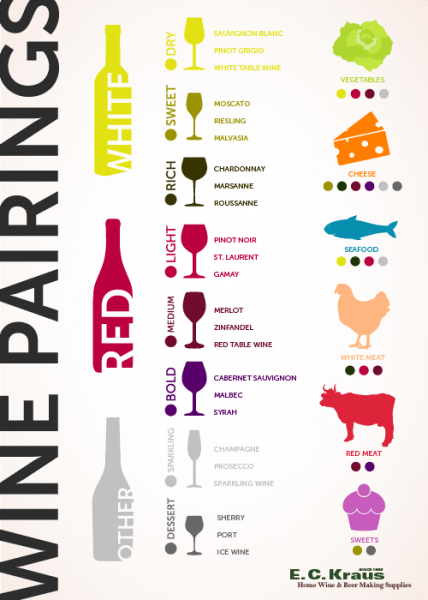 Krause created an ultimate pairing guide that helps illustrate some general suggestions in creating a good harmony between wine and food. Take a look and start taste testing some wonderful combinations! 1. Free Shakespeare in the Park: As You Like It – Friday, May 23, Saturday, May 24, and Sunday, May 25 at 8 p.m. In celebration of its 30th Free Shakespeare in Zilker Park, Austin Shakespeare will bring new actors and company alumni together in a RenFaire-style production of As You Like It. Audience in costume welcomed. This is the final weekend of performances. FREE! Zilker Hillside Theatre, 2206 William Barton Dr.
2. Planet K Concert at Bullock Museum – Sunday, May 25 at 6 p.m. Enjoy a FREE concert by Floyd Domino Band with special guest Redd Volkaert and The Howard Kalish Experience. Be sure to bring a picnic dinner and a blanket or chairs and your family to the Bullock Texas State History Museum’s Lone Star Plaza Bullock Texas State History Museum, 1800 N. Congress Ave.
3. Free admission to the LBJ Library– Monday May 26, all day. Everyone can enter for free, all day, at the LBJ Presidential Library in honor of Memorial Day. 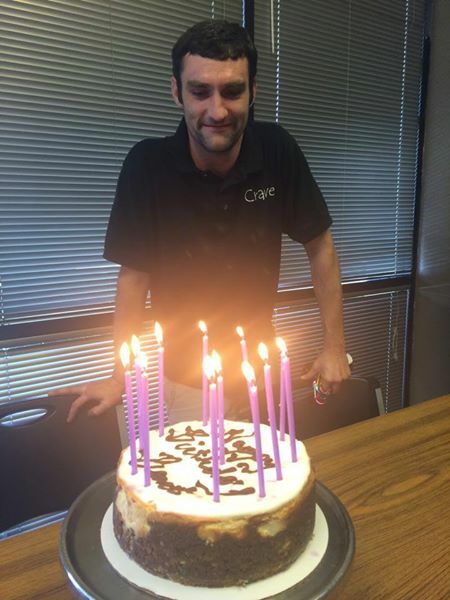 These past couple months we have been celebrating quite a number of birthdays here at Crave. 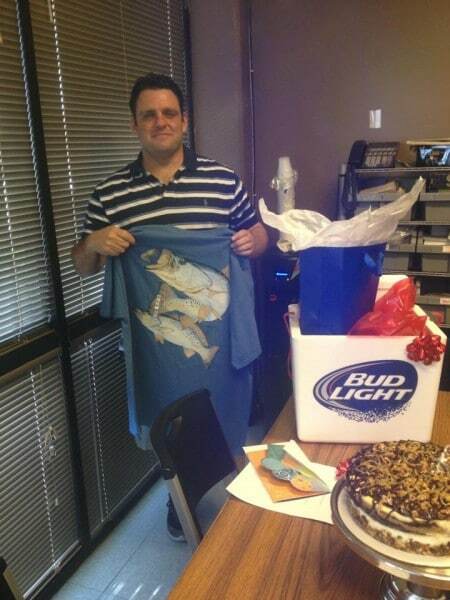 We wanted to congratulate everyone for being another year wiser and for being part of our wonderful team. Happy Birthday! 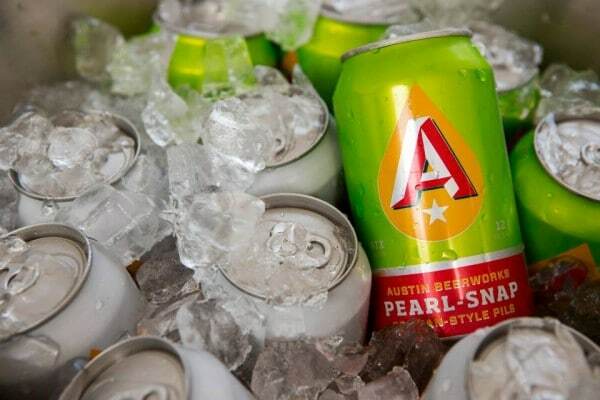 Flash back to one of our favorite events here in Austin– South by Southwest. We cannot believe how much fun we had catering various events downtown during the festival. Live music, raw energy, excited crowds and a couple of energy drinks fueled our week. 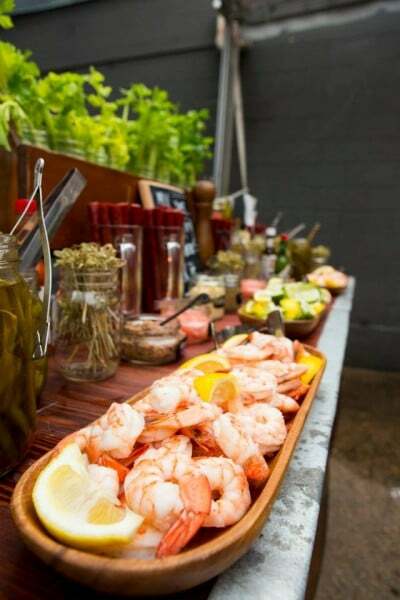 We created exclusive menu items for our clients including an amazing “make-your-own” bloody mary bar with the works– including bacon salt, celery, shrimp, pickled veggies, a plethora of hot sauces and any other reasonable thing to dress your bloody mary with was available. There were dessert tables galore with some of our favorite sweets, like snickerdoodle cakeballs and chocolate dipped marshmallows. Some of our breakfast dishes included freshly baked scones, mini cinnamon rolls and ham and gruyere omelettes. 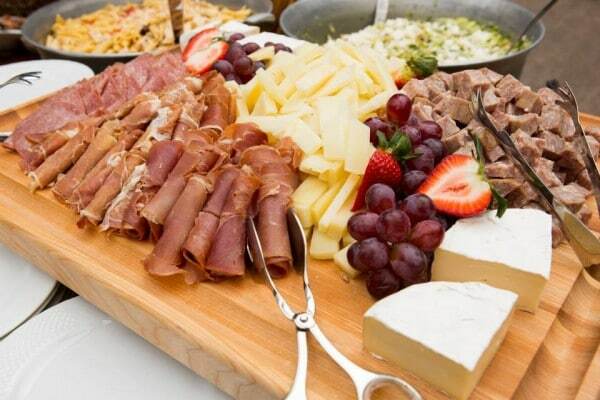 Everyone seemed to enjoy our carefully assembled charcuterie plates with a variety of meats, cheeses and fruit as well as our specialty cocktails. Check out our Facebook album to see all of the wonderful dishes we created that week! Compliments to Todd White Photography for capturing all the fun at SXSW 2014. Phew, we were all extremely busy but never too tired to make sure everyone had a good time! We can’t wait for next year. Many Americans generally confuse today as Mexico’s independence day, which is actually September 16th. 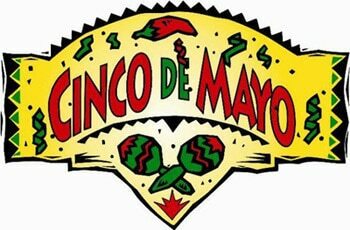 Cinco de Mayo is observed in the United States as a celebration of thanks to Mexico in fending off French support for the Confederate States of America in the Civil War. The battle of Puebla, in Puebla Mexico against the French was won on this day. In observance of this Mexican-American holiday, we wanted to share some of the festivities going on around Austin. We know it’s Monday, but what a better way to start the week! Click on the titles for more info on the events. Do512 has more awesome events listed on their website, so be sure to checkout more things to do if the ones we listed aren’t your thing. Enjoy some classic pulled pork quesadillas from Blue Ox BBQ, live music and special craft beer from Mexico! The event starts at 6 pm and will also be showing the NBA playoff game. Don’t miss it! Starting at 2pm, come enjoy music from DJ Danny Boy and a live Mariachi Band! Drink specials include $3 Margaritas with 508 Tequila bar’s in-house margarita mix. There will also be $1 street tacos, and don’t forget their unforgettable queso! When it comes to business, presentation is always key. That goes for any meeting, pitch or business interaction. The impression you leave on your associates, employees and colleagues speaks volumes and sets the tone for the professional relationship you wish to build with them. 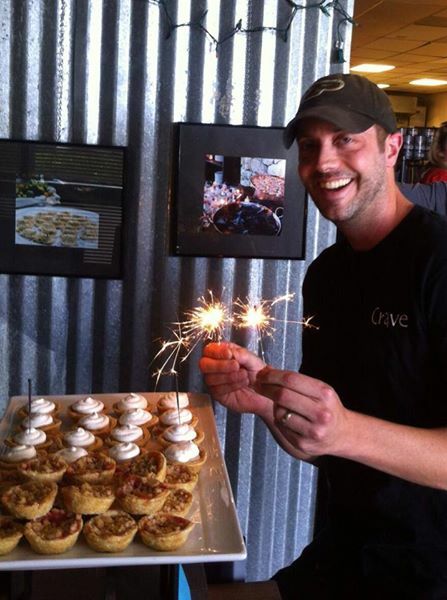 The team at Crave understands the need for a flawless execution and can help make the best impression possible. 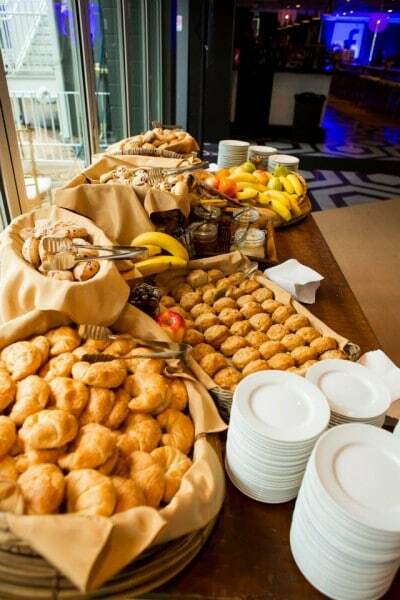 Catering corporate events can seem daunting, but has many beneficial outcomes. 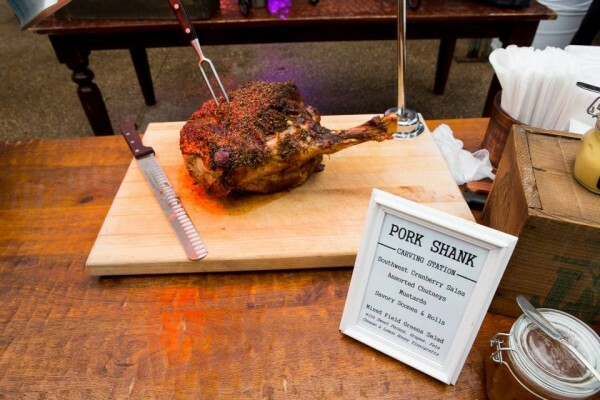 We wanted to pass along some advice when planning your next corporate event. Every event has a purpose, and the impression you set with the decor, location, food and overall atmosphere will convey a message to your audience. 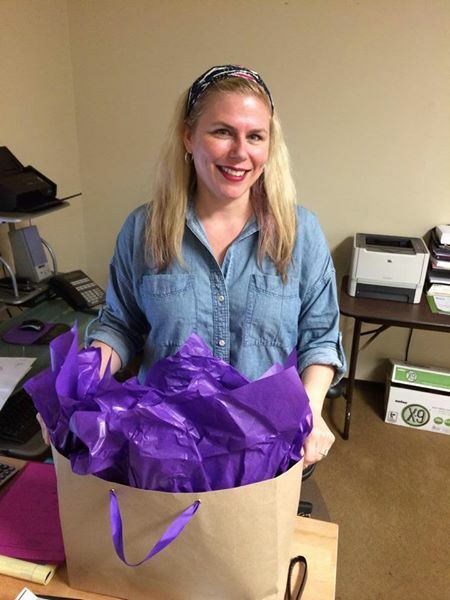 Providing a catered lunch for a monthly employee meeting can show support for all of the employees’ hard work and create incentive and encouragement to keep meeting those goals at the workplace. An elegant sit-down dinner for a company awards ceremony on the other hand, shows appreciation and adds tradition and value to company culture. Always have a broad idea or ballpark figure for the amount of people that will be attending. This is always important because it determines the size of the venue, the amount of food and chairs, tables etc. that will be included in the budget. 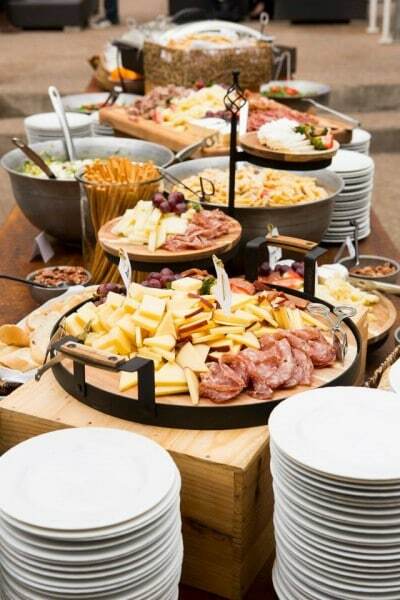 Breaking down the budget and establishing the main necessities first will allow for a more simple planning process when it comes to catering services. Start with the venue and equipment costs first. Then, consider if you will need to provide entertainment or decorations and deduct those costs. From there the caterer can work with you to budget the cost of the food, labor and service charges. 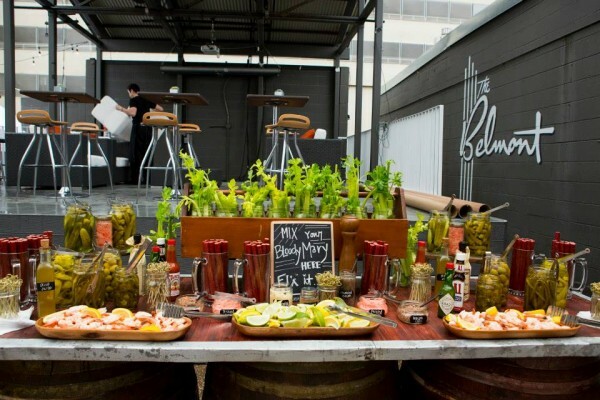 Aside from casual office meetings or client events meant to display the company facilities, it is best for corporate events to be held outside the office. 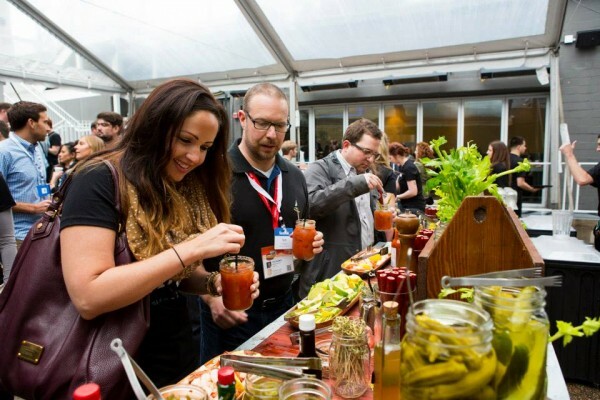 Hosting these events gives employees an opportunity to enjoy their jobs outside of a work environment. A happy employee is a productive employee after all. Consider choosing event venues with large spaces to allow for an open and relaxed atmosphere. Be cognizant of where in the city (or out of the city) the venue is located; there may be many people that commute from neighboring parts of town. 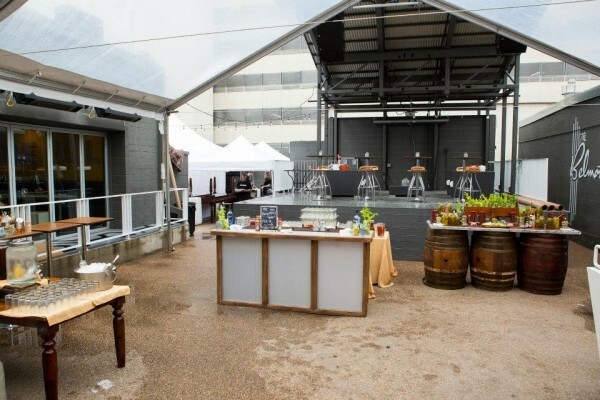 Lucky for us, Austin is filled with incredible venues to fit any style or event type. From the Austin Country Club to historic venues like The Allan House, there is a large variety of locations to choose from. 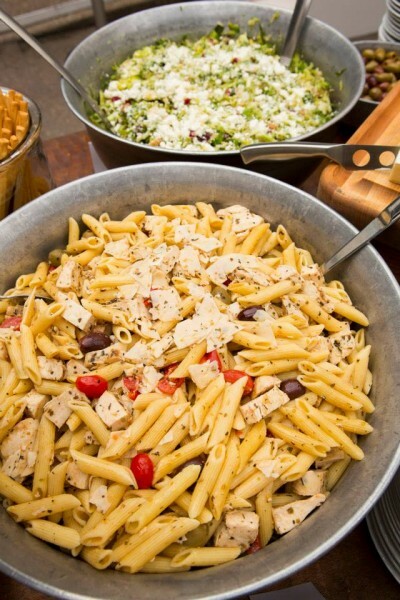 Whether you host a large company soirée or simply want to order lunch for the next quarterly office meeting, hiring a corporate caterer can help make the process a breeze.